Best Price of 2017 for a 2018 Model Pool. Small deposit holds the 2017 sale price and you can make payments as you see fit until installation. Fully Refundable if anything where to come up. 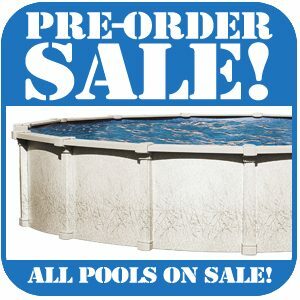 While above ground pool costs vary on elements such as size additions, water features, enclosures, and accessories as well as owners extras like deck, patio and landscape design, you must also consider factors such as quality of workmanship and design, strength, ease of maintenance, warranty and service. We are offering “Steps to buying an above ground pool” starting with planning but the size, shape and materials will also make a big difference. That being said, an above ground pool can be purchased and installed in your budget, see below for all the information you’ll need to choose the above ground pool of your dreams. 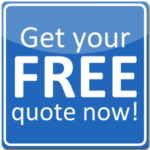 Make the decision that you are going to buy and install an Above Ground Swimming Pool. Planning is the most important part of any pool project: above ground swimming pools vary in size, but it’s important that the size of your yard meets the requirements for your pool design. This saves many headaches later on. 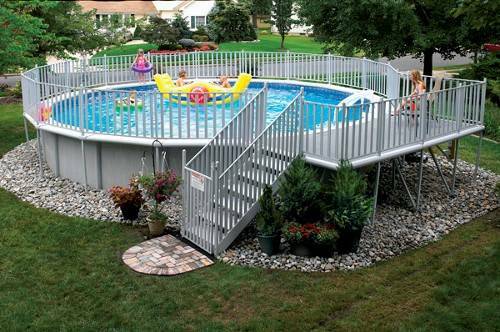 Above Ground pool placement is also important. Sunny areas will help keep your pool water warm, but you’ll want to keep the pool away from windy areas, as wind blowing over a pool can greatly increase evaporation. As a general rule, pools should be 8-10′ from trees. If removing trees and stumps happen to be in an ideal location for an above ground pool they should be pulled and removed before the pool is installed. Stumps being ground down can cause major problems with the pool liner in the future. Make sure that the pool is easy to access and see from your house and think through walkways, patios and decks you may need or want to add. Also consider decks, patios and spas and build in extra room. 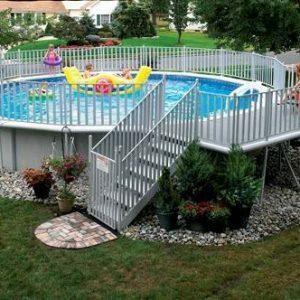 *Please note that above ground pool permitting is the responsibility of the homeowner.